Maintaining optimum tire pressure is essential for safety, fuel efficiency and maximizing tire life. Mandated in new passenger vehicles since 2007, Tire Pressure Monitoring System (TPMS) Sensors measure tire air pressure and temperature. They then wirelessly transmit data to the OE-ECM receiver, which displays a low tire pressure warning light on the dashboard alerting drivers to check their tires. DENSO?s OE experience and know-how ensures our First Time Fit products provide unmatched performance, reliability and fitment. 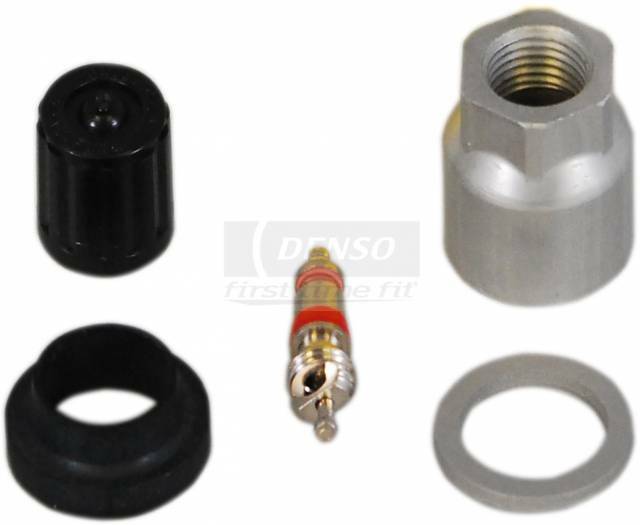 When a TPMS Sensor fails, you?ll want to replace it easily with a DENSO First Time Fit TPMS sensor. Unlike one-size-fits-all sensors, DENSO has developed sensors that never need to be programmed or cloned before installation ? they?re built to the specified vehicle right out of the box. With DENSO, installation is a snap ? our TPMS Sensors relearn just like an OE part, restoring the vehicle to its original condition.